Our international competition and "Belcanto Festival" is different from similar offers in Europe! FOR THE FIRST TIME IN CLASSIC MUSIC our guest stars from the opera world participate not only as jury members, but as vocal teachers and soloists in the concert of the winners. This approach gives participants the opportunity to adapt to a warm environment and show the best quality. The final public events demonstrate what the singers of the "Belcanto Festival" learned. Training (coaching week) one week before the competition includes individual work with guest stars and well-known teachers. They would also sit in the contest jury. Each participant has their own training schedule. THEREFORE, PLACES ARE LIMITED FOR ALL THE MASTERCLASSES. For the masterclasses we do not have an age limit, while in the competition the limit is up to 35 years of age. Festival participants of the can choose the format that best suits their needs: they can take part only in the competition, only in the masterclasses or "coaching week", as well as buy a complete package. Finalist in the contest can win prizes totaling € 11.000, - or special prizes. 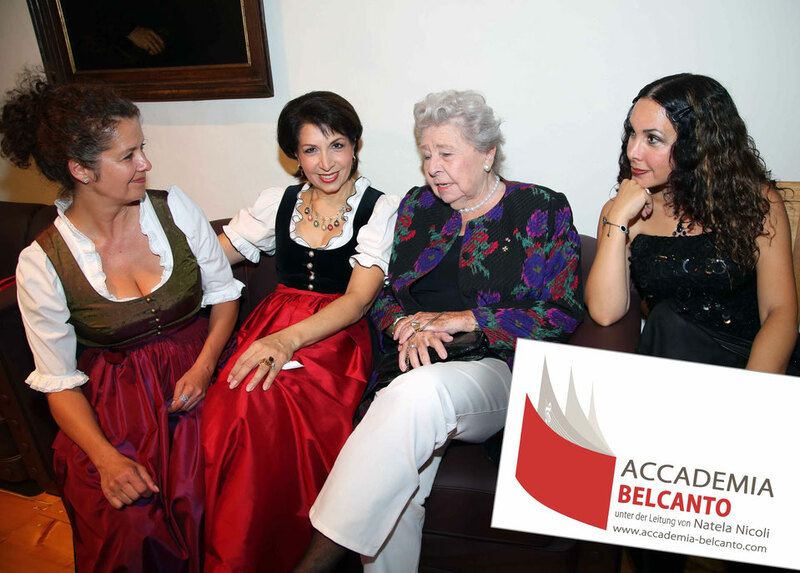 Festival participants will receive diplomas from our "International Belcanto Festival". Each finalist and semifinalist will receive a diploma signed by the invited singers, professors and jury members. Also in the future Belcanto Festival will collaborate with all the winners and outstanding singers, will help with recommendations and search for future work invitations. The “Belcanto Festival” this year invites Eteri Lamoris, Natela Nicoli, Clemens Anton Klug, Marius Adam and Eduard Lanner. Unser Belcanto Festival mit internationalem Wettbewerb unterscheidet sich von ähnlichen Angeboten in Europa! ZUM ERSTEN MAL IN DER KLASSISCHEN MUSIK nehmen unsere Gaststars aus der Opernwelt nicht nur als Jurymitglieder teil, sondern auch als Gesangslehrer und Solisten im Konzert der Preisträger. Dieser Ansatz bietet den Teilnehmern die Möglichkeit, sich in einer angenehmen Atmosphäre wohl zu fühlen und ihre besten Qualitäten zu zeigen. Die abschließenden öffentlichen Veranstaltungen zeigen, was die Sänger des "Belcanto Festivals" gelernt haben. Das Training (Coaching-Woche) eine Woche vor dem Wettbewerb beinhaltet individuelle Arbeit mit Gaststars und bekannten Lehrern, die dann auch in der Wettbewerbsjury sitzen werden. Jeder Teilnehmer hat seinen eigenen Trainingsplan. Daher sind Plätze für alle Meisterklassen begrenzt. Für die Meisterklassen haben wir keine Altersgrenze, während für den Wettbewerb das Limit 35 Jahre beträgt. Teilnehmer der "Belcanto Festival" können sich das Format selbst zusammenstellen, das ihren Bedürfnissen am besten entspricht: d.h. sie können an allem , aber auch nur am Wettbewerb oder auch nur an einzelnen den Meisterkursen teilnehmen. Finalisten des Wettbewerbs können Preise im Wert von € 11.000, - oder Sonderpreise gewinnen. 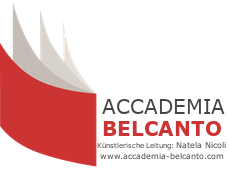 Alle Festivalteilnehmer erhalten Diplome von unserer "Belcanto Festival". Jeder Finalist und Halbfinalist erhält von der Akademie ein Diplom, unterzeichnet von den eingeladenen Sängern, Professoren und Jurymitgliedern. Die "Belcanto Festival" lädt in diesem Jahr Eteri Lamoris, Natela Nicoli, Clemens Anton Klug, Marius Adam und Eduard Lanner ein. Финалист может завоевать в конкурсе одну из трех премий или специальный приз за лучшую интерпретацию композитора, за лучший голос / талант. I finalisti del concorso possono vincere premi per un totale di € 11.000, - o premi speciali. Ai partecipanti al festival, verranno consegnati diplomi del nostro "Belcanto Festival". Ogni finalista e semifinalista riceverà un diploma siglato dai cantanti, professori e membri della giuria invitati. Anche in futuro il Belcanto Festival collaborerà con tutti i vincitori e cantanti eccezionali, e supporterà a livello di referenze e cercherà ingaggi lavorativi. Finalista en el concurso puede ganar uno de los tres premios o un premio especial.